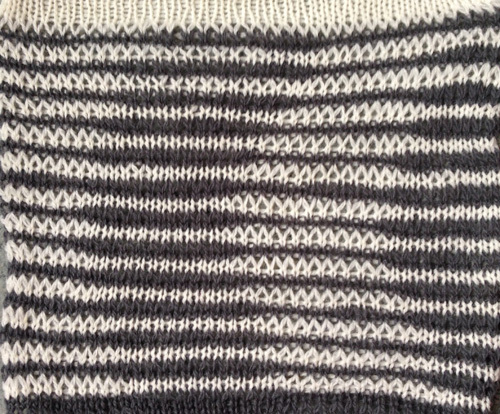 Occasionally I do play with hand knitting and charting for it. 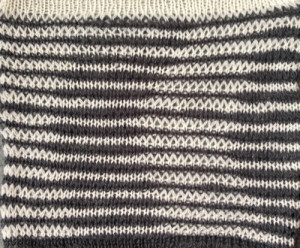 A couple of years ago I wrote on the topic of illusion / shadow knitting. 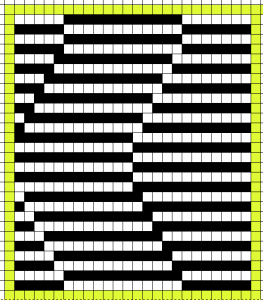 The repeat is 24 stitches wide, so it is suitable for use on punchcard machines as well. 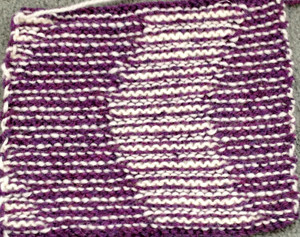 Without the “tool”, all stitches can be brought to E and back to B with a ruler, piece of garter bar, ribber cast on comb, or other handy toy. 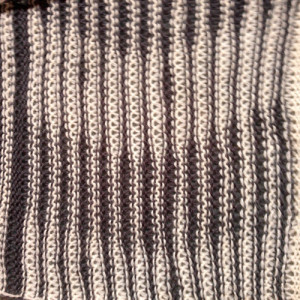 Dropping stitches is done while carriages are on the right, they return to the left knitting only on the ribber. 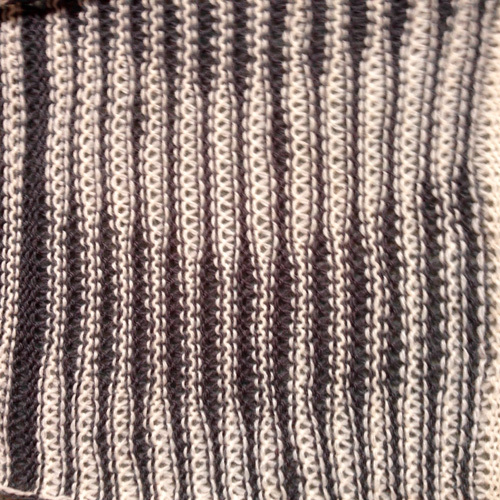 In the previous post, the ribber only knit first, both beds knit on the second row, and stitches were in turn dropped with carriages and yarn on the color changer side (L), after no needle pre selection across the main bed.